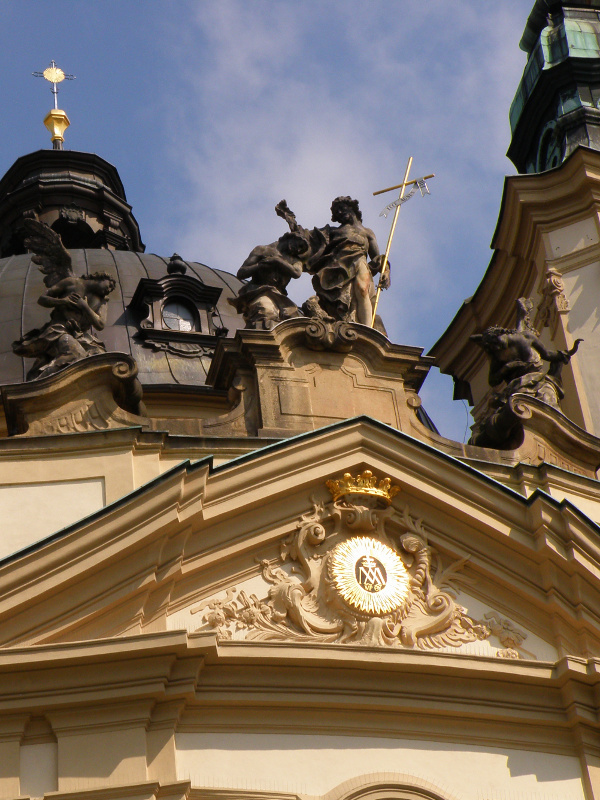 This represents the peak of Baroque architecture in Moravia. 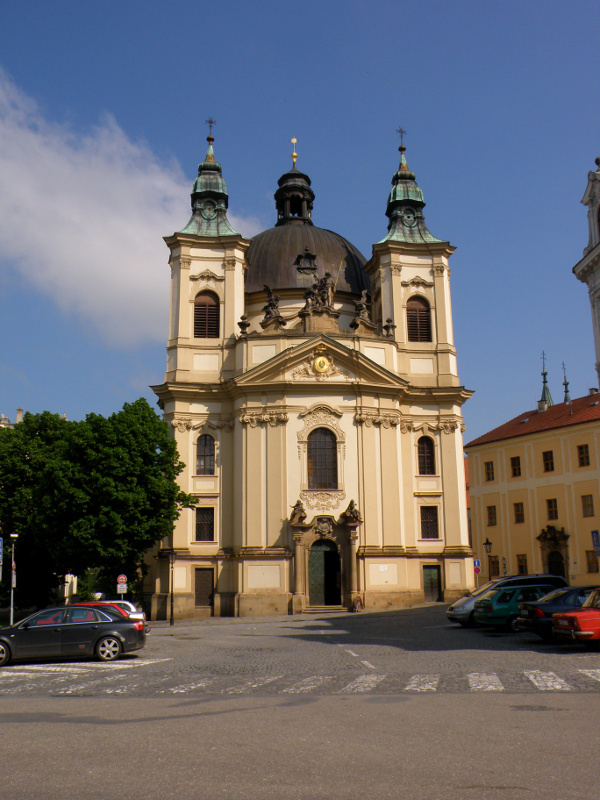 It was built between 1737 and 1768 according to the project of Ignác Josef Cyrani von Bolleshaus as a part of the Piarist College. 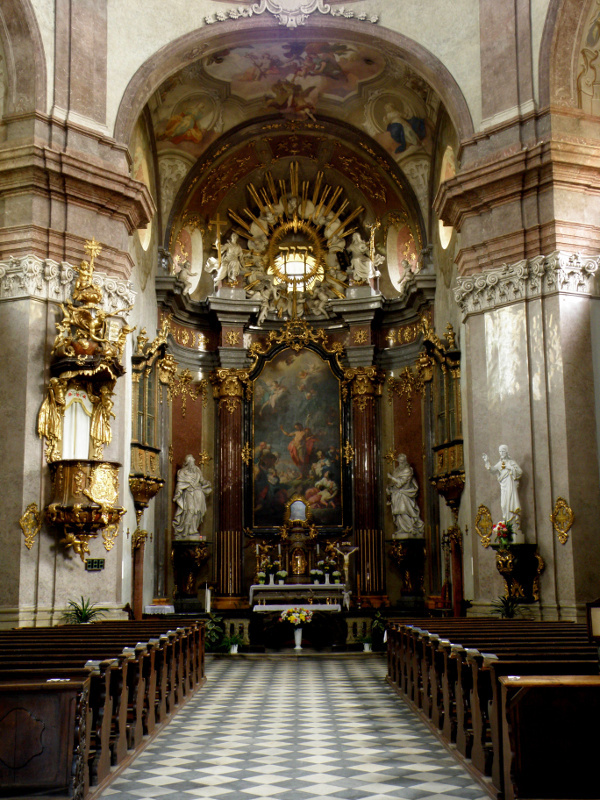 Reminders of the consecration in 1768 are 12 bronze crucifixes placed around the perimeter of the church. The centre, with its oval body, is vaulted with a height of 35 metres. Lush fresco decorations by J. J. Edgens iconographically celebrate the patron saint of the church, St. John the Baptist. 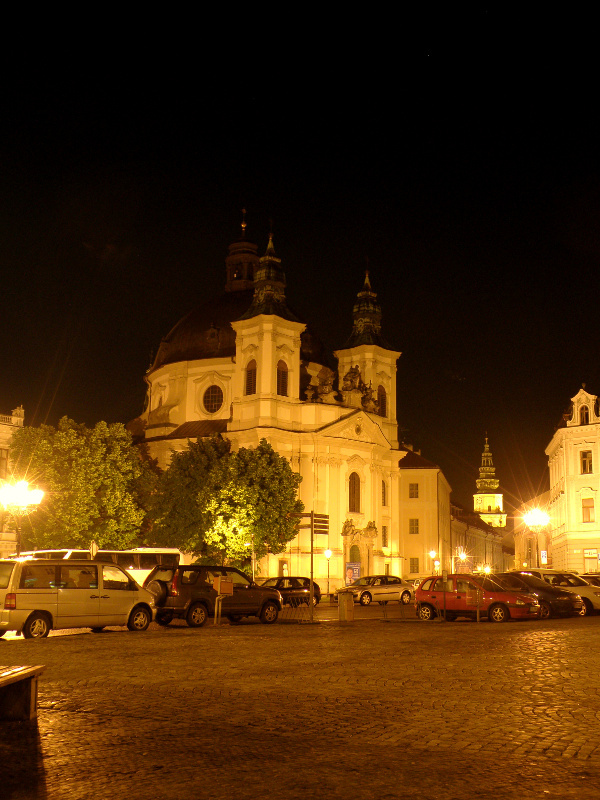 The church, which by its location and size is the dominant feature of the central part of Kroměříž, is the entrance to the historical centre.